ii. It is non-statist as it also includes non-state actors. iii. It is very dynamic and not static. iv. It is normative as it not only describes a process but also the normativity of that process (Koh 1996: 184). iii. Complete or strict compliance of treaties is unnecessary and all that is required is an acceptable level of overall compliance to safeguard the interest of the treaty (Chayes and Chayes 1993). i. Ambiguity and indeterminacy of treaty language as treaty language varies in its determinacy. ii. Limitations on the capacity of parties to carry out their undertakings. Apart from a political will to comply, the choice that must be made domestically requires scientific and technical judgment which states, especially developing countries, may be lacking. iii. All treaties require a period of transitions before mandated changes can be accomplished. Changing conditions and underlying circumstances require a shifting mix of regulatory instruments to which state behaviour cannot instantly respond. Treaties are not just ‘aspirational’, the ultimate goal is to start a process that will over time bring states into greater congruence with treaty ideals (Chayes and Chayes 1993). iv. to intensify worker education on matters related to social security and international labor standards. iv. the development of a Social Charter with minimum labor standards that should be applied to protect workers. iv. the elimination of discrimination in respect of employment and occupation. 1. The SADC Treaty, certain SADC protocols, and the SADC Charter should be adapted, extended, and strengthened to make provision for minimum regional labor standards. This treaty on minimum regional labor standards should include, as a bare minimum, requirements of the ILO core standards, the UN declaration of Human Rights, and employees' rights at work. The domestic incorporation of the SADC Treaty, SADC Charter and SADC protocols into national laws can ensure ease of compliance by member states. 2. A code of best practices for TNCs should be established, providing minimum labor standards for any TNC that wants to establish business enterprises in any SADC member state. 3. The local actors in all SADC member states should be empowered through a process of training, so as to provide them with the necessary skills, knowledge, and expertise to create public awareness of human rights, social rights, and labor rights. The local actors in each member state can play a significantly positive role in ensuring that governments adhere to the minimum regional labor standards. 4. An independent monitoring system that brings governments, employers, TNCs to task for failure to comply with minimum regional standards should be established. The SADC Tribunal should become operational as soon as possible, and its mandate should be extended so that it can also act as a labor standards watchdog. The new Tribunal should have the power to take appropriate steps against not only employers or TNCs, but also against governments. These powers can include imposing fines on transgressors. Aliu, A. 2012. European Industrial Relations: Transnational Relations and Global Challenges. Munich Personal RePEc Archive (MPRA). URL: http://mpra.ub.uni-muenchen.de/38897/. Bieler, A. 2005. European Integration and the Transnational Restructuring of Social Relations: The Emergence of Labour as a Regional Actor? Journal of Common Market Studies 43(3): 461–484. Chayes, A., and Chayes, A. H. 1993. On Compliance. International Organization 47(2): 175–205. Dickmann, M., Müller-Camen, M., and Kelliher, C. 2008. Exploring Standardization and Knowledge Networking Processes in Transnational Human Resource Management. Personnel Review 38(1): 5–25. Gennard, J. 2008. Negotiations at Multinational Company Level? Employee Relations 30(2): 100–103. Helfen, M., and Fichter, M. 2013. Building Transnational Union Networks across Global Production Networks: Conceptualising a New Arena of Labour-Management Relations. British Journal of Industrial Relations 51(3): 553–576. Horvath, K. 2012. National Numbers for Transnational Relations? Challenges of Integrating Quantitative Methods into Research on Transnational Labour Market Relations. Ethnic and Racial Studies 35(10): 1741–1757. URL: http://encyclopedia.thefreedictionary.com. Accessed 20 Nov. 2013. Hyman, R. 2001. The Europeanisation or the Erosion of Industrial Relations? Industrial Relations Journal 32(4): 280–294. Kohl, H., and Platzer, H. W. 2003. Labour Relations in Central and Eastern Europe and the European Social Model. Transfer: European Review of Labour and Research 9(1): 11–30. Labour Resource and Research Institute (LaRRI) 2001. Building a Regional Labour Movement: The Southern Africa Trade Union Co-ordination Council 10. Lillie, N., and Greer, I. 2007. Industrial Relations, Migration, and Neoliberal Politics: The Case of the European Construction Sector. Politics and Society 35(4): 551–581. Lillie, N., and Lucio, M. M. 2012. Rollerball and the Spirit of Capitalism: Competitive Dynamics within the Global Context, the Challenge to Labour Transnationalism, and the Emergence of Ironic Outcomes. Critical Perspectives on International Business 8(1): 74–92. Ngongola, C. 2012. SADC Law: Building Towards Regional Integration. SADC Law Journal 2(2): 123–128. Smit, P. 2014. 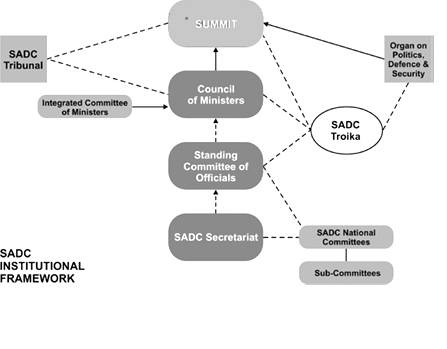 Transnational Labour Relations in SADC: Dream or Possibility? African Journal of International and Comparative Law 22(3): 448–467. Trubek, D. M., Mosher, J. and Rothstein, J. S. 2000. Transnationalism in the Regulation of Labor Relations: International Regimes and Transnational Advocacy Networks. Law and Social Inquiry 25(4): 1187–1211.